There were 257 press releases posted in the last 24 hours and 153,513 in the last 365 days. 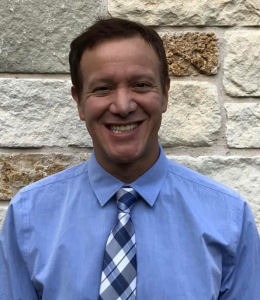 Texas physician Dr. David Anthony Miranda explores issues faced by the state's freestanding emergency medical facilities. WEST LAKE HILLS, TEXAS, USA, December 3, 2018 /EINPresswire.com/ -- First established less than a decade ago, freestanding emergency rooms quickly became big business in the state of Texas, according to urgent care physician Dr. David Anthony Miranda. Something of a victim of their own success, however, many freestanding emergency medical facilities are today beginning to struggle, faced with huge competition as larger, existing hospitals buy up successful freestanding ERs in an effort to out-compete other operators in the area, San Antonio-based Dr. Miranda reveals. 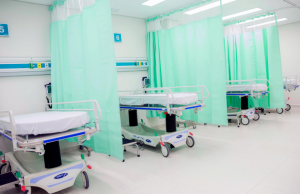 "Local, convenience-focused freestanding emergency rooms were seen as a way to lighten the load on established hospitals and medical facilities," he explains. "Yet more recently, and despite incredible initial success, it's these newer freestanding ERs which are struggling as existing facilities prosper," adds the physician. Himself having worked within a successful freestanding emergency room following the passing of legislation for such facilities in Texas in 2009, wherein which licenses were issued the following year, Dr. Miranda has uncovered a number of problems which are today facing freestanding ERs. "Also intended to provide emergency room access for those living in rural communities, the freestanding ER business model relies heavily on what's commonly referred to as a well-insured patient population," he explains. Yet, according to Dr. Miranda, these two scenarios are largely at odds with each other, and, as a result, a significant proportion of freestanding emergency rooms, especially in more rural settings, are choosing to allow their licenses to lapse. "Despite the best intentions of the burgeoning industry, freestanding emergency room facilities became more prominent in bigger towns and cities where they proved less beneficial in light of existing, established healthcare systems," adds the physician, who himself specializes in the care of medically underserved, often rural populations. Now, as existing inner-city hospitals acquire the more successful, localized freestanding emergency rooms, operating under their own licenses, licensing numbers for truly standalone emergency room facilities continue to dwindle as a result, according to Dr. Miranda. "Location was not adequately considered, in my opinion," he adds, "leading to the problems which we see today." There is, however, he says, still hope for the industry. "With a renewed focus on location, whereby which freestanding emergency rooms are better positioned to assist those from more remote parts of Texas, I believe that such facilities still have an important role to play in the state. Accordingly, I trust that new and renewed applications for freestanding emergency room licenses will increase once the market settles down," adds Dr. David Anthony Miranda, wrapping up.